As soon as the fellow matriculates, his/her training in deceased donor multi-organ procurement of livers, kidneys, and pancreata begins. While the majority of procurements involve brain-dead donors in our donor service area, there has been an increase in donation after cardiac death in recent years. Typically, the incoming fellow spends approximately three months performing procurements under the direct supervision of the senior fellows until they are certified to lead the procurement team themselves. It is expected that the fellow will gain ample exposure to unusual anatomic situations including pediatric and infant donors, donors who have had cardiac surgery, donors with aortic/iliac aneurysms, and donors with aberrant vascular anatomy (accessory or replaced left and right hepatic arteries, retroaortic renal veins, renal arteries arising from iliac arteries, etc.). 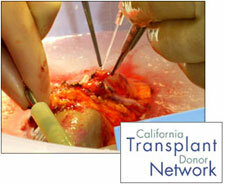 During the entire fellowship, the transplant fellow performs an average of 125 deceased donor multi-organ procurements over the two-year training cycle.